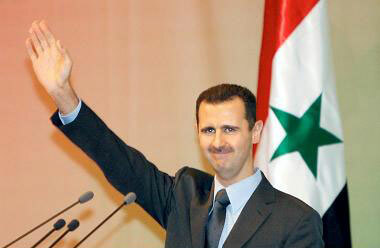 On the deployment of UN forces in South Lebanon, President Assad added" our stance is declared…. 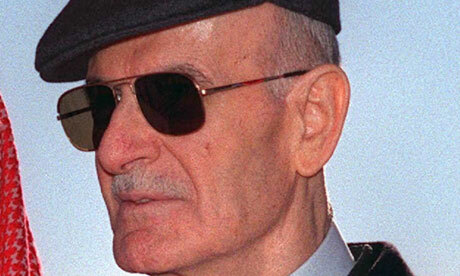 before the war and before 1701 resolution we stressed the necessity to boost UNIFIL forces in South Lebanon and the truth is that US intended to decrease these forces, so we agreed on 1701 resolution, regardless of the non- objective and non-positive items in this resolution." For us boosting UNIFIL including the current UN forces authority is something right and positive." President Assad added. Regarding Syria's participation in Baghdad Summit and Syria' role to stop civil war there, the President said " any solution must be Iraqi one and our role is to help the Iraqis, and what we are doing is to start dialogue with all parties whether they are supporting the political process or opposing it, aiming at finding the common grounds in this regard." President Assad added that Syria' viewpoint is that after reaching these common bases, there must be an Iraqi national conference and not international one, a national conference with international and regional support to help the Iraqis create a dialogue. On accusing Syria of allowing terrorists to infiltrate through its borders into Iraq, President Bashar Assad replied "US Administration always blames its failure on others and doesn't admit its failure .The problem in Iraq is political and their political failure in Iraq led to this chaos." In regard to Syria's role to control borders the President added that this thing must be done by the two sides and not by one side. 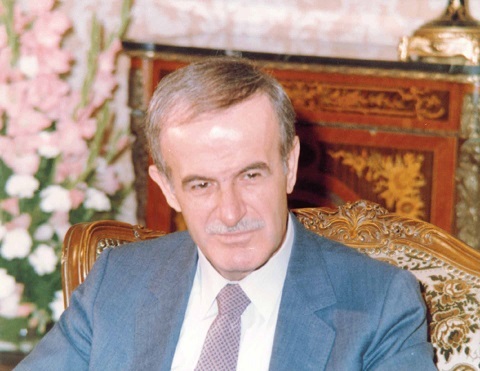 Regarding the repercussions of the US incorrect policy in Iraq and the region, President Assad said that any chaos in a country will affect the other, and may be the whole Middle East due to the similarity of social nature in our region, and its not in our interest that there is disorder along the borders because we will pay the price in a day in the same way .US and Britain are fully responsible of this confusion in the whole region." On the Syrian –Iranian relations, President Assad said that Iran is an important country in the Middle East and Syria' relations with Iran or the rest of region's states are very important for security in the region, so we have to establish good relations with Iran as a part of work for security, adding that Iran has right to posses nuclear weapon for peaceful purposes in line with the international law and this is also a right for all countries in the world. The President underlined that " we presented a draft law to UN Security Council in 2003 on freeing the Middle East from all weapons of mass destruction and we are asking for justice in this regard because Israel possesses nuclear weapons. So this issue must be implemented on everybody not selectively towards a state without the other. 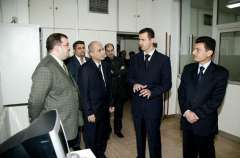 Answering a question on if there are secret negotiations between Syria and Israel, President Assad stressed " no …we fully reject the principle of secret negotiations …we don’t hide anything .If we are talking publicly about peace so why we hide peace from the people...if people support peace process why we hide it." peace process needs a popular support …at the end when you want to sign the agreement so it should be in public and if there is no popular support for the details of the negotiations so there will not be a popular backing to the agreement, so, you will not reach any positive result or you cannot sign the agreement, so this principle is fully rejected. 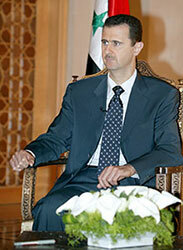 On Syria's readiness to establish peace with Israel, President Assad said. “Sure, this is a firm principle to Syria and we do not change it …it is a matter of right .We have a right to the whole land and all occupied territories must be restored and any other details are possible to be negotiated but not the land, because it is a Syrian land.